According to the CDC, the infectious Lyme disease is the fastest growing vector-borne disease in the United States. 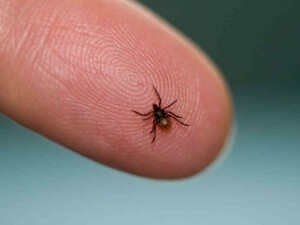 Lyme disease affects 300,000 people a year, increasing the rate by 25 percent, since 1982. Many of the people infected don’t realize their infected until later in life, due to doctors not being experienced in knowing what to look for. That’s why its crucial to know the truths and myths of Lyme disease, that way it will be easier to diagnose. Myth #1: A bite from a tick infected with Lyme disease will give you Lyme. If a tick attaches to the skin, as is caught early enough, the likelihood of contracting Lyme is super low. A tick needs to be fully engorged into the blood before it gives any of the diseases. Myth #2: Lyme disease has no cure. If a person gets bit by a tick, they are recommended to receive a two-to-four week supply of antibiotics. Typically, around 80 percent of cases are cured from the antibiotic, but if the disease has been around for awhile problems will arise. Myth #3: A child is safe from Lyme if you have them avoid wooded areas, chances are, if you live on a wooded lot, there’s a possibility your child could get bit by a tick while playing outside. It’s important to use products that contain DEET directly on children who are older than two months, and use repellants that contain permethrin on child’s clothing and socks. Myth #4: Lyme disease only affects the Northeast. The heavily concentrated areas remain throughout Northeast and Midwest, but there also have been cases reported in Florida, Texas, and California. In fact, every state has had at least a case of Lyme disease reported. Myth #5: Blood tests are best for confirming Lyme disease. If an adult or child receives a negative blood test confirming they aren’t infected with the disease, this doesn’t mean they don’t have it. The CDC recommends a two-step blood-testing process to look for the antibodies that are against the disease.